Corporations & Communities — Together We Rock! Just because many of our communities, workplaces and marketplaces aren’t accessible or inclusive of everyone doesn’t mean that it needs to stay that way. What’s going to be your one step that shapes the legacy of your corporation or community organization? Invite the Together We Rock! team to your professional development event, corporate conference, community meeting or government forum and our infectious passion will have your group chanting “We Rock!” by the end. Our world is filled with countless opportunities to make a difference, and our ability to lead is determined by the steps we take every day. Together We Rock! founder John Draper knows first-hand that extraordinary things can happen in corporations and communities when one person makes a step to inspire change. Throughout his life, John has learned that a vision can be turned into a reality, that every challenge has a solution, that taking risks is critical to success and that investing in the human spirit allows us to be extraordinary. This inspiring 45-minute presentation encourages the audience to “Think Big” and enrich their lives by being extraordinary. An accessible and inclusive world is entirely possible – all you need is a heavy dose of positivity and the will to try. Through wit and candour, Together We Rock! founder John Draper inspires his audiences to live accessibility and inclusion daily by starting with a vision, celebrating diversity and making the decision to turn your vision into a reality. This 40-minute presentation can also be followed by a question & answer period and/or interactive workshop. 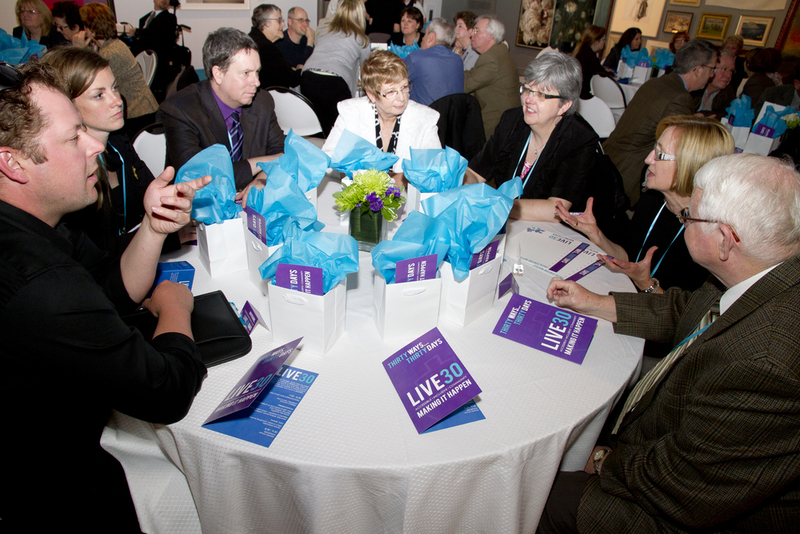 LIVE30 is Together We Rock!’s ultimate opportunity to inspire change through leadership and immediate action. The program encourages each of us to take one step in our daily lives to promote accessibility and inclusion in our workplaces, marketplaces and communities. Through an engaging and inspiring 75-minute presentation and leadership session, participants are challenged to find their own unique way to make a difference in thirty days and encourage their peers to do the same. Read about the launch of LIVE30. LIVE30 provides corporations and communities with an opportunity to refresh their leadership spirit. Take the first step by purchasing and downloading the Thirty Ways… Thirty Days LIVE30: Making it Happen booklet from Our Store to complement this leadership experience and get ready to rock!